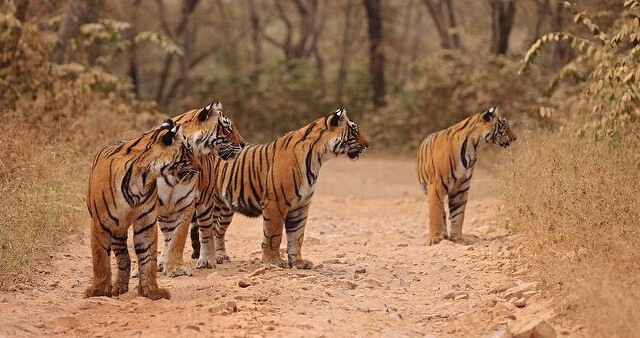 Indian Wildlife: Rise in Tigers numbers means Rise in TigerTourism! India logged a 30% rise in number of tigers in the last 5 years – thanks to huge conservation efforts as well as very strict anti-poaching measures and today we have the highest number of tigers in the Wild (2226 out of 3500 – or 63% of all the global total). Signs of tigers migrating to Bannergatta National park (which is just 36 kms away from bangalore) from Cauvery Wildlife Sanctuary and also Tiger being caught at Wayanad border which wandered out of the forest are clear signs of increase in the number of tigers (Tigers are very lonely & territorial and they moving out is a clear sign of increase in the number of tigers and they coming out in search of new territory). (Darn we now need to increase their Habitat and this clearly lies with the State governments!!). “We have organized packages for school groups, individuals and even corporate firms who take their employees for team-building exercises there. Corporate conferences at resorts in the wild are very common. The main reason is that the entire activity works out to be very economical.Packages start from almost `2500 per person per day and can be customized as per the client’s demand, depending upon the type of place they want to stay . There are camps as well as luxury resorts,” says Rajiv. 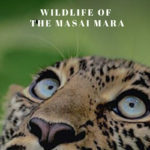 Vikas Singh, a city-based businessman and a wildlife enthusiast, has visited almost all the known tiger reserves in the country . “I’ve been visiting wildlife reserves religiously since the past 18 years. 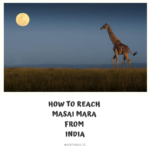 Dudhwa, Corbett, Katarniya, Kanha, Panna, Pench, Ranthambore, Bandhavgarh, and even sanctuaries in Mauritius – I’ve visited all of them. Every year, I go to Corbett and another chosen sanctuary for a trip. The feel of the jungle never fails to excite me. Even though I’ve spotted the tiger on 18-19 different occasions, it is an altogether different experience every time. I have a portfolio of almost 100 pictures of tiger spotting on different trips. My son is also a wildlife enthusiast and my wife has also grown to love the experience now,” he says. Vikas Jain, an executive with a real estate firm, was part of his company’s team-building activity at Corbett National Park earlier this year. “Our company took a group of around 40 executives who had achieved their targets to Jim Corbett for three days. We were all staying in a resort with a number of in-house activities planned for us. A safari was also a part of the itinerary. Even though we didn’t spot the tigers, it turned out to be a good opportunity to unwind,” says Vikas. “People typically go there for luxury vacations, as tariffs at the resorts there can go up to almost 30,000 per night. In spite of the high prices, we have almost 20 groups going there per month during peak season, which is from October to June,” says Gagan Gurnani, owner of Dreamway Travels. Prarthana Dalmia, a dentistry student in the city , went for a short family vacation to Ranthambore National Park recently . “We hadn’t taken a family vacation in ages due to unmatched schedules. So my parents, brother, sister-in-law and I went on a short three-day trip to Ranthambore recently and the experience was fabulous. 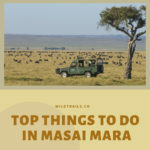 The point is not just a jungle safari; the entire experience of staying in a beautiful resort in the wild is beautiful. It really helped us unwind,” she says. Conclusion is simple, Wildlife tourism is becoming really big part of the Indian vacationing as well as for corporate outing to unwind in the wild and of course tiger is the lead actor around which everything is revolving and no wonder he is the king of the Jungle (remember Lion is never a habitat of jungle but of Savannahs and calling him the king of the Jungle is not apt I feel :-))!! PS: Please be a responsible wildlife tourist; While in the forest – no littering, no sounds, no feeding, no getting down from the safari jeep, no calls (put your cell phones to airplane mode or switch off). Remember we are visiting their home and when we are there, let’s follow their rules.